Here we go again.. 3 more days to month-end! Busy days are back! 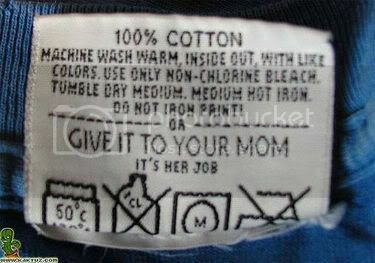 Anyways... here's an interesting washing label. For those who don't understand the first portion of the label, read the second part. heh heh! 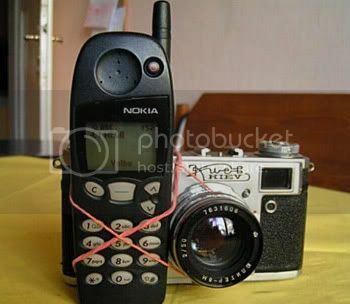 New: Nokia 4.1 megapixel camera phone! I've managed to get my hands on one of the photos and I must say, it looks rather... umm.. bulky... I reckon, it'll have some problem fitting into those tight jeans. Saw this fascinating video clip... Some ppl have too much time on thier hands, they shot the whole Simpsons intro in real-life! Check it out. In another note, a cyclone hit north Queensland 2 days ago. Estimated loss amounted to AUD 500 million! 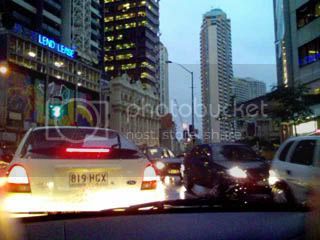 Brisbane is around 400km from the disaster hit area and we can still feel the strong winds and had some heavy rain falls. Can't imagine what it's like to be in the thick of the action. bwahahaha... 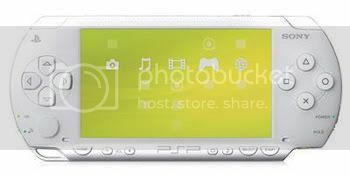 I've decided what to spend my adsense income on: a ceramic white PSP!! I've managed to get my hands on a Japanese version of this baby from ebay and so far, it's been GREAT! Now I can bring my Winning Eleven 9 wherever I go. Looks like another busy week for me this week. Amazingly, the work load just keeps piling on and on... Just hafta keep reminding myself... 2 more months (for hols)! Seems so long away..
Woohoo! I finally got my first adsense cheque! muahahaha! Thanks to those wonderful guys at google... I can finally get something that I've had my eyes on! * Engine capacity has been reduced for 2006 from 3-litre V10 units to 2.4-litre V8s. * The '2.4-litre' refers to the maximum engine capacity which must not exceed 2400 cc. * The 'V8' refers to the 90º V configuration of the engine, while the '8' is the number of cylinders the engine has. * The new V8 engine has been introduced in the hope of cutting costs and improving safety - expect to add around three to five seconds to lap times at most circuits. * Tyre changes during grands prix will return in 2006, ending the one-season ban on changing rubber in pit stops. * And did you know: 2006 will be the final season that Michelin compete in Formula One as they've opted to withdraw following the FIA's decision to change the tyre rules. * A new three-part qualifying system will be used in 2006, replacing the old one-lap shoot-out. * Qualifying will last one hour and drivers may put in as many laps as they want to during any of the three sessions as long as they haven't been eliminated. * The first session, which is 15-minutes long, will see all 22 drivers on track, each carrying a low fuel load. At the end of the session, the slowest six drivers will be eliminated and they will make up the final quarter of Sunday's grid filling the positions P17 to P22 in order of fastest to slowest. * A five-minute break will follow. * Following the break, the second 15-minute session will begin and the remaining 16 drivers will return to the track, once again carrying a low fuel load. At the end of the session, the slowest six will be eliminated and they will make up positions P11 to P16 on Sunday's grid in order of fastest to slowest. * The final session, which is 20-minutes long, will see the final ten drivers battle for pole position. However, in this session they will have to carry the same amount of fuel that they plan to start the race with. The fastest driver will take P1, while the slowest will occupy P10 on the grid. * And did you know: If you find this new format confusing don't worry, you're not alone. Max Mosley also doesn't understand it! Speaking about the change of weather (from my last post)... 70% of the time, the weather forecast is inaccurate... IMHO anyways. 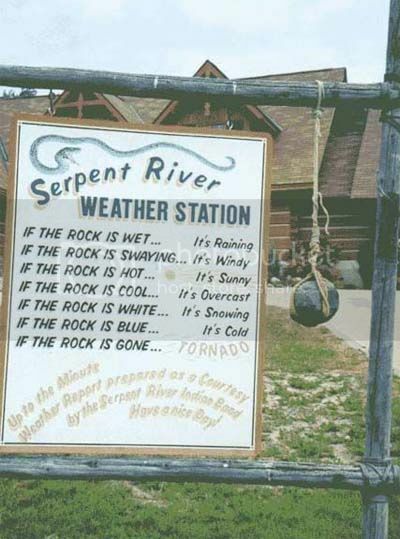 Here's a really good tool that can tell the weather 100% accurate! No Kidding! Whoah... it's the beginning of the month again! Yup... it's back to the month-end process at work and thus, the lack of update.. sigh! The seasonal change is back in Brisbane again! It has been raining for the past week and it's great to be able to enjoy a much more lower temperature than the usual! Yeah.. wet, wet, wet... with that comes traffic jams, slow busses and wet socks! I guess you can't have everything. heh heh.. I've already booked my flight home to KL and it's gonna be a very tight holidays... will elaborate more later. Washing label New: Nokia 4.1 megapixel camera phone! LOL, I must get my hands on this model! Aiyoh, re: the poster above - there she goes again, the blog whore with the URL in her nick.. This shameless person puts random one-line comments on everyone else's blog just to promote her site. I read a lot of blogs too, but I don't make comments just for the sake of putting my blog's URL in the name [dave] Guess that's called blogvertising.. ;) The 'Real' Simpsons Intro My new toy! google adsense rawks! F1: New Season, New Rules 100% Accurate Weather Forecast Tool It's March already!